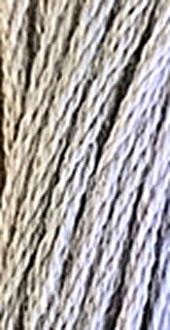 A six strand, hand-dyed, overdyed cotton floss. Each skein contains several colors blended with care to provide incredible visual richness. The Simply Shaker Sampler Threads offer muted tones throughout the length of the thread. Great for counted cross stitch, embroidery, needlepoint, punch needle, primitive stitching, quilt embellishing, and applique.